What do you get if you take the pattern for a pair of pants and merge it with a pattern for a skirt? The answer is Culottes. Ever since I saw Megan Nielsen’s pattern for the Tania Culottes, I’ve been thinking about trying to reproduce the pattern as a small pattern making exercise for myself. Judging by the nice fall of the skirt, I concluded that the base pattern for the skirt should be a full circle skirt. This simple sketch shows the basic pattern. 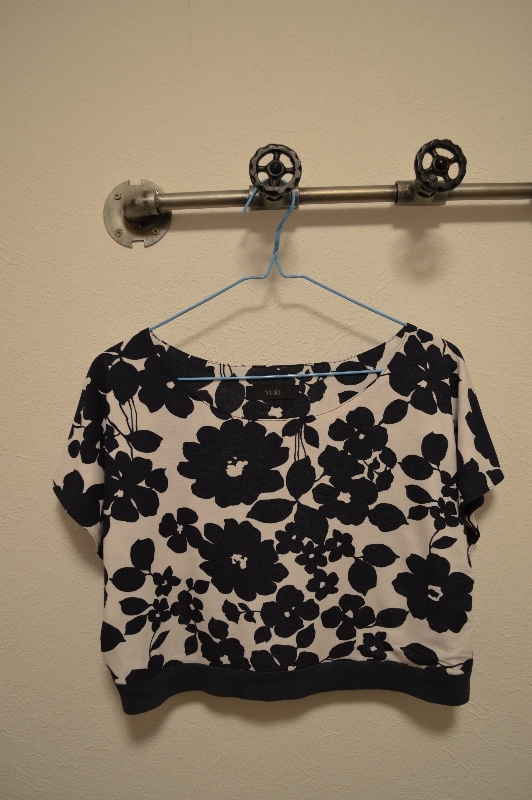 Start with a circle, this will be the hemline of the culottes. Divide the circle into 4 parts. This is the start of two front pieces and two back pieces. Make an inner circle for the waistline. Remove two of the 4 parts, there’s no need to make duplicates. Also split the two left into two separate pieces. The split will become the side seam. To make the skirt into shorts and to hide the crotch seam, more fabric needs to be added in the front and back. After the added fabric, there should be a front and a back crotch seam. Finally add a bit of length to the back piece to accommodate for the bottom. Here’s a tiny, tiny muslin (that probably fits a Barbie doll)! Categories: Shorts and Trousers, Skirts, Work-in-progress | Tags: sewing, tania culottes | Permalink. 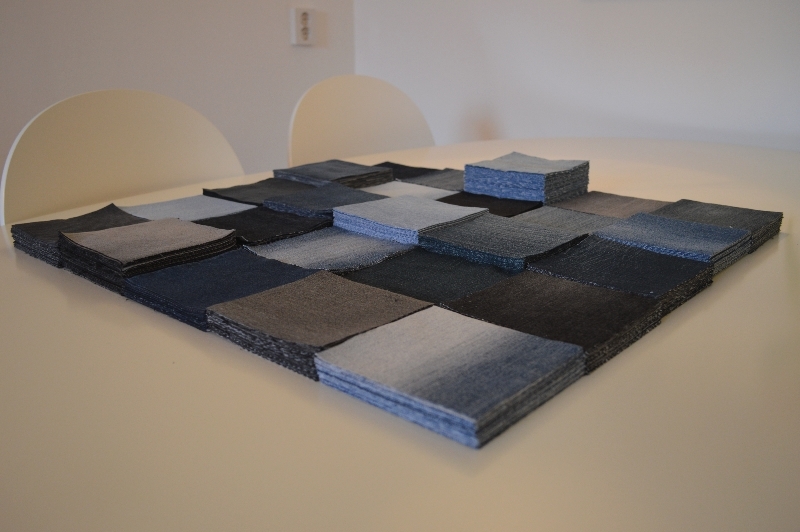 My latest project is actually a recycling project where I’ve used 25 pair of old jeans and cut them into squares. Since I didn’t have this many old jeans myself, a bunch of friends came to my rescue and donated trousers that were either ragged or too small (a huge thanks guys!). When I first got this brilliant idea, I never stopped to think about just how many squares I needed to cut and sew together. I only knew that I wanted them to be around 10x10cm. Later on, when I had cut out around 50 squares and wanted to know how many I actually needed, I finally did the maths… I wanted a 2,5×2,5m bedspread which resulted in a staggering 625 squares! But since I don’t like giving up, I just kept on cutting and finally ended up with this. 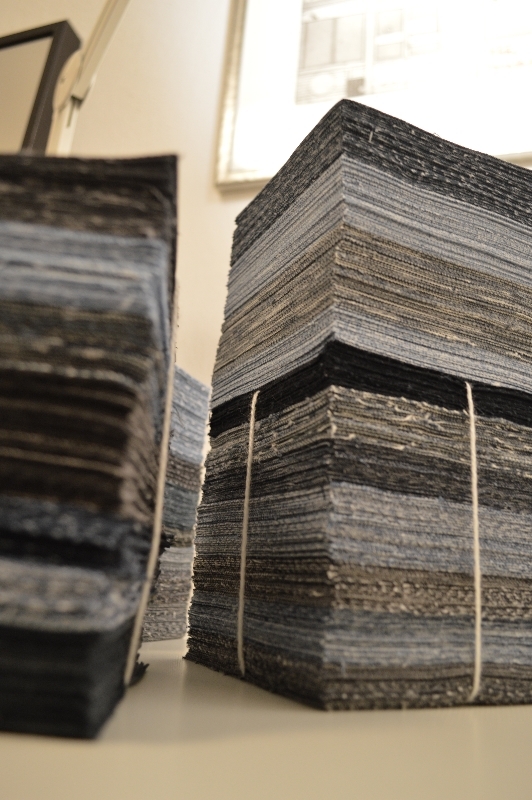 When it was time to actually start sewing I decided to sort all the different jeans into one stack each. That way it would be easier to distribute them evenly across the bedspread. That tactic worked well and an hour later, I had 25 stacks on my table with each stack containing 25 squares. All 25 pair of jeans, neatly sorted. 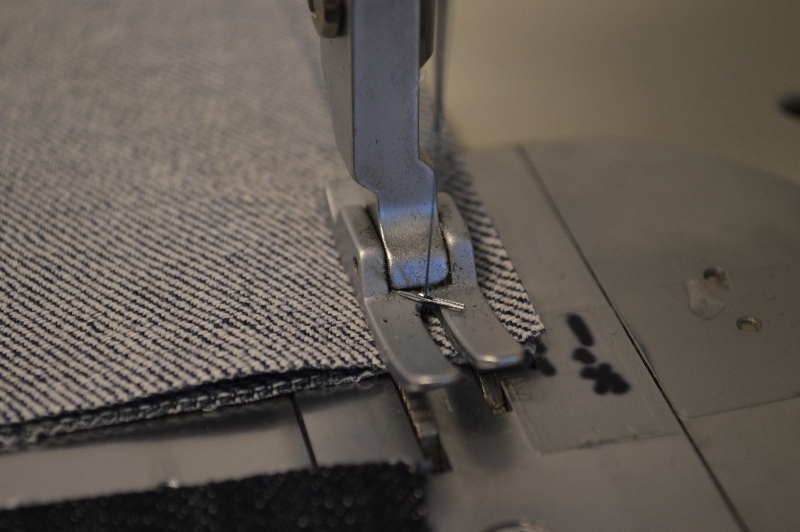 My first approach to sewing everything together was to sew one row at a time and then sew the rows together. The only problem with that idea was that I had a hard time lining up the seams perfectly. This prompted me to try a new approach that focused more on the fact that it’s squares I’m stitching together. Two squares on the first row are sewn together and then two on the second row. 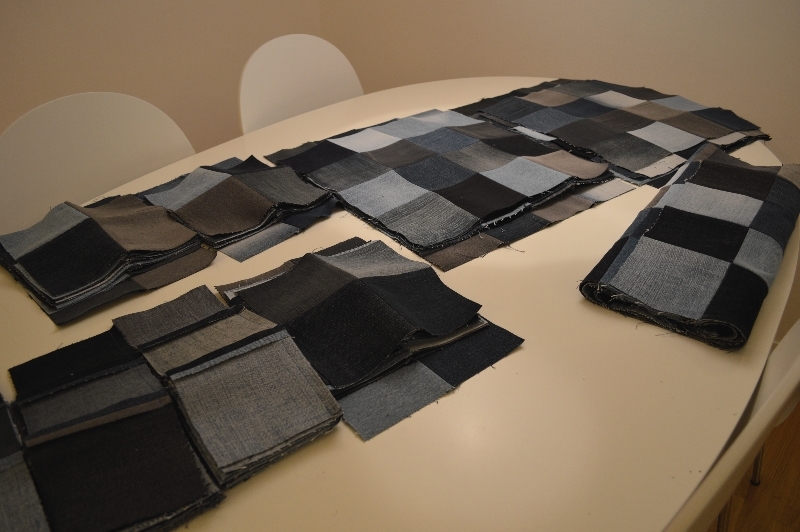 The those four squares are then sewn together. Hopefully the picture explains it a bit better. I have absolutely no idea if that’s how quilters does it or if there’s a better way but it’s working out alright for me. I had hoped that I would’ve been able to show you a finished project by now, but that’s not the case. Never in my life would I have guessed that making this bedspread would take this much time. Clearly I’ve underestimated my opponent. Not only have my patience and sanity taken a toll during this tiresome project, but two needles have lost their lives in tragic accidents. A victim of the bedspread! Categories: Misc, Work-in-progress | Tags: bedspread, quilt, quilting, recycled jeans, sewing | Permalink. During the weekend I finally decided on what my next project was going to be, and it’s a dress! 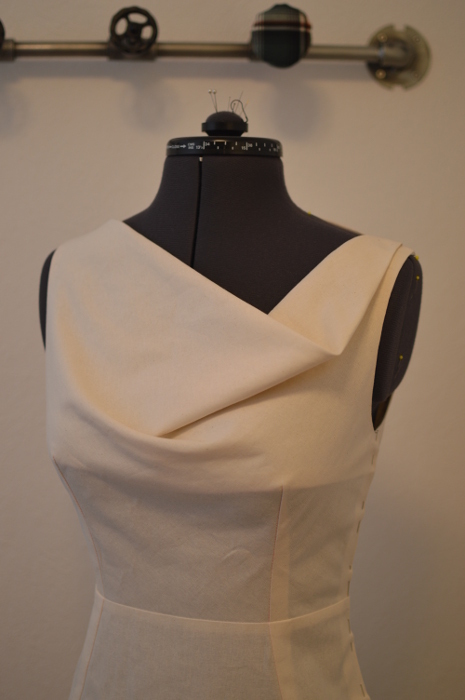 I will use two different fabrics for the skirt and the upper bodice to create a bit of contrast. 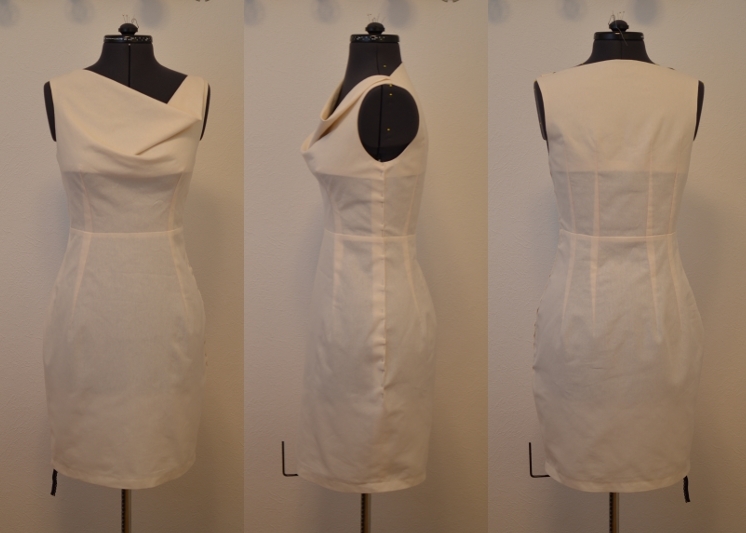 An elastic waistband will be added to give the wearer an accentuated waist, while still keeping the dress comfortable. The length of the skirt should be somewhere over the knee. The upper bodice is made with kimono sleeves and a rather high neckline. For this first version of the dress, I’ve decided to use two soft knits (The one with the flowers is actually another case of buying-fabric-I-have-yet-to-find-a-project-for). What are kimono sleeves you ask? Well, it’s a sleeve cut in one piece together with the bodice. Don’t confuse it with the traditional Japanese kimono sleeve which is cut as a part of its own. 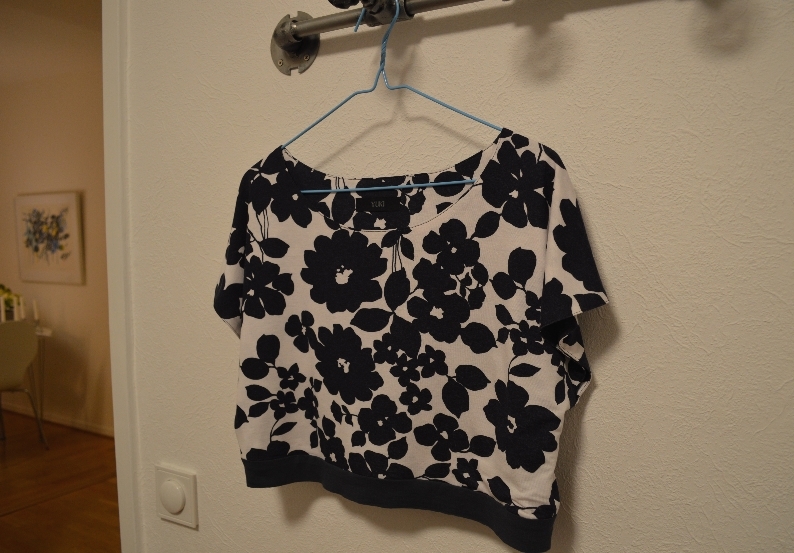 So far, I’ve finished the bodice and to be honest, I wouldn’t mind just wearing that as a top to the beach in the summer. Darn, I gotta get rid of all the extra kilos I put on during Christmas! I’m pretty excited about this dress, in my mind it will be amazing and an amazing dress needs a name, right? I wanted to find something that had to do with the lovely kimono sleeve and I consulted Wikipedia for some help. Apparently, the Japanese word for the sleeve (a proper kimono sleeve) is “sode” but that was completely out of the question after my hubby told me to check urban dictionary… Instead, the choice fell on Tamoto. “The Tamoto dress”, easily mixed up with the vegetable but still a nice name for a nice dress. 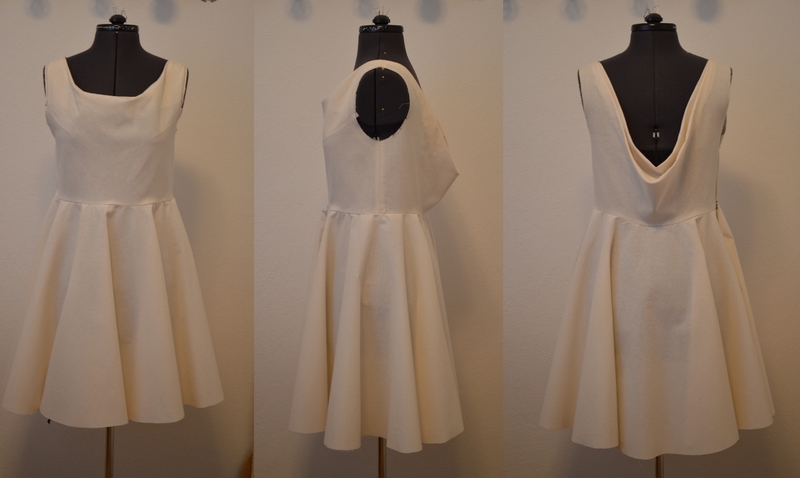 Categories: Dresses, Work-in-progress | Tags: clothing, dress, kimono sleeve, sewing, Tamoto dress | Permalink.